Learn 11 Jewish meditations for connecting with God, excerpted from Mystical Kabbalah. Over 2,000 years ago, Jewish mystics devised unique meditations to enhance awareness and contact higher planes of consciousness, becoming vessels for the light of God. They developed a precise system—the Kabbalah—and passed its teachings by word of mouth only, believing that the secrets of the Kabbalah transcend the written word. In the spirit of this great oral tradition, Kabbalah Meditation will immerse you in this traditional school of sacred wisdom for reaching peace through union with God. 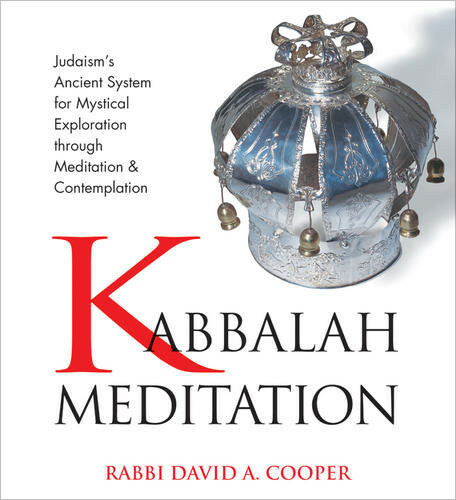 Rabbi David Cooper offers 11 authentic meditations associated with Kabbalah practice that he developed during six years of research and work in the Old City of Jerusalem. Practical, uplifting, and fascinating to learn, Kabbalah Meditation is the perfect introduction to this time-honored system for spiritual growth and self-discovery.